Tune in at 12pm this Wednesday for a special edition of Out To Lunch featuring the music of Earl Howard. 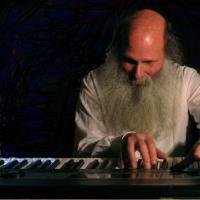 Earl Howard (born 1951) has been performing his compositions in the United States and Europe for the past thirty-five years. He studied saxophone in Los Angeles with Phil Sobbel and graduated from California Institute of the Arts in Music Compositions in 1974, where he studied with James Tenney and Morton Subotnik. Howard has performed with improvisers including Georg Graewe, Mari Kimura, Mark Dresser, Thomas Buckner, and George Lewis. His music has been performed at Merkin Hall, the Whitney Museum, The Kitchen, Roulette, Carnegie Hall. Howard has also produced numerous soundtracks for leading film and video artists including Nam June Paik, Mary Lucier, Rii Kanzaki, Bob Harris, and Bill Brand. Howard is the recipient of the Regents Fellowship at the University of California at San Diego, three New York Foundation for the Arts fellowships, New York State Council on the Arts Media, and an NEA Composers fellowship. His recent compositions include music for live electronics and instruments, solos for synthesizer and saxophones. Hosted by Anabel Anderson.